Gas Smart Heating Ltd - Central Heating Engineer, Plumber based in Brighton, East Sussex. At Gas Smart Heating Ltd our vision is to provide value for money, do the right job at the right price, at the right time to suit our customers. As a family run business we pride ourselves on offering a personal service. We ensure our customers recieve highly qualifed Gas safe engineers who treat customers and there propertys with respect and coutesy, Wearing smart company uniform, driving our fully stocked van. Our dedication is to fulfil our customer's needs and wants which has always been imperative to the way we operate and we adapt our services in order to achieve this. 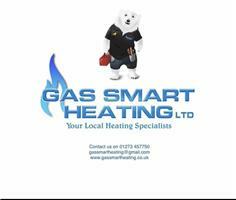 We work with the intent that once a customer uses Gas Smart Heating Ltd we hope they become a 'customer for life'. We can offer free extended Warranties with most boiler manufacturers such as Vaillant, we offer as standard 6 years on the Pro range and 8 years on Ecotec range - which our competition cannot offer.